A run through the park. A quick walk around the block. A game of fetch in the backyard. Spend time with your maturing puppy and you’ll be quick to discover that owning a canine is one rewarding opportunity. From licks on your cheek to cuddles on the couch, you can expect lots of dog filled memories when treating your Fido to a premium, nutrient filled puppy diet. Behind every healthy wag is a quality dog food offering the nutrients your canine needs to thrive in life. Like your own eating habits, what your dog consumes is bound to affect his/her health and enjoyment of life. That’s why here at VIP Puppies, we provide high quality dog food made with the finest ingredients. Each mix is carefully curated in the United States. 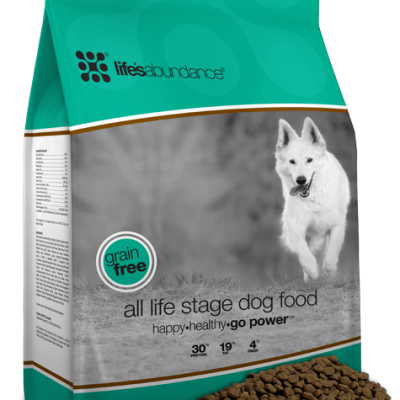 Plus, every bag offers a healthy balance of tasty protein, calories and calcium designed especially to help your dog thrive. To keep up with the different stages in a dog’s life, our dog foods present quality for every season of life. Of course, certain seasons call for select mixes specific to your puppies age. That’s why for the small and medium breed puppy, we offer a perfectly-sized, nutrient-packed kibble which supports high energy and healthy puppy development. 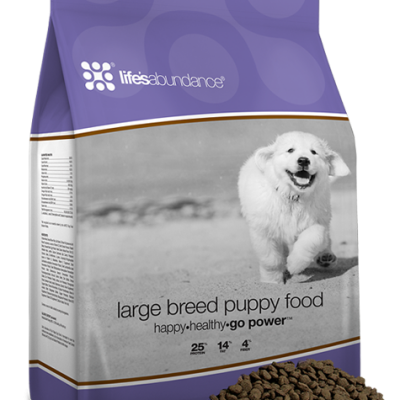 For the puppy destined to become a large canine hunk, we provide a separate large breed puppy food. 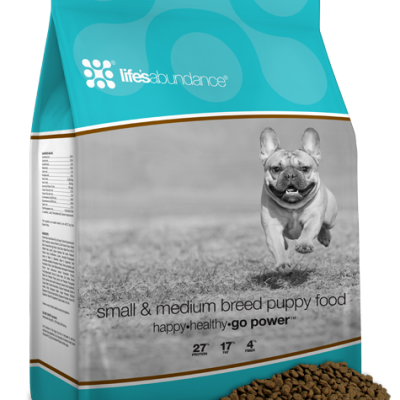 Our large breed puppy food provides a delightful combination of calories and protein which encourages healthy, controlled growth rates. 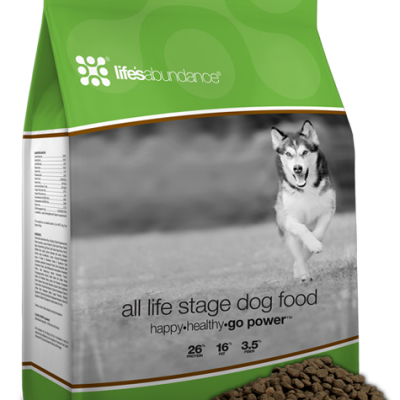 Or if you prefer to keep things simple and start with a food that’ll last a lifetime, grab our All Stage Dog Food. It not only guarantees Omega 3’s and 6’s for a healthy canine skin and coat, but also promises an antioxidant system including essential vitamins C and E.
If you’re looking for a specific diet-friendly mix, be sure to try our premium Grain Free Dog Food. Each batch is cooked in small quantities to guarantee absolute quality and robust nutrition. Plus, our tasty grain free mix contains no corn or wheat glutens and is free from artificial colors and flavors. Not to mention prebiotic fiber and probiotics are a consistent ingredient too. Or perhaps you’re struggling with an overweight Fido. No worries. No canine ever needs to stop being amazing just because there’s a weight gain. 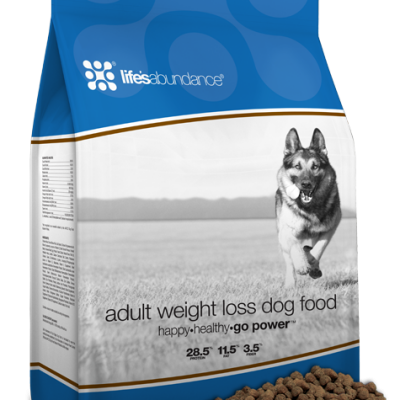 If you’re looking to slim your beautiful canine and get back to a stunning and beautiful physique, meet our Adult Weight Loss Dog Food. Each bag is packed with hearty proteins for firm, brawny muscles. Plus, L-Carnitine is mixed into each batch to help your chubby Fido properly utilize fat and return to his or her slim self. Right alongside our tasty collection of dry dog foods, we also provide delicious wet dog food loaded with fabulous flavors. You can now make any day special simply by treating your dog to a can of our drool-worthy wet dog food. Sporting varieties including turkey, shrimp, crab, and beyond, there’s a match for every doggy taste-bud. Similar to your own body, every dog needs specific nutrients and vitamins to thrive. Gleaming coats, healthy energy levels and strong dog joints don’t merely happen by chance. For this reason, it is imperative for every canine to maintain a balanced menu filled with healthy calories and protein. Every bite your maturing dog takes contributes to the foundation of your dog’s future. Your dog’s development and growth are directly connected to what goes inside his/her system. So go ahead and browse our delicious puppy and dog food combinations. 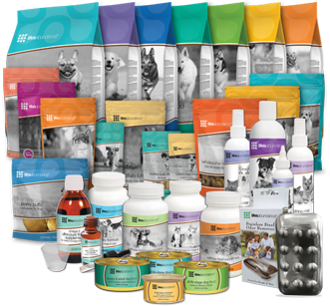 Enjoy providing your dog with the best in dog food selections. Whether you’re looking to feed a growing little pupper, an active athletic partner, or an aging canine senior, VIP Puppies offers premium dog food for every season. 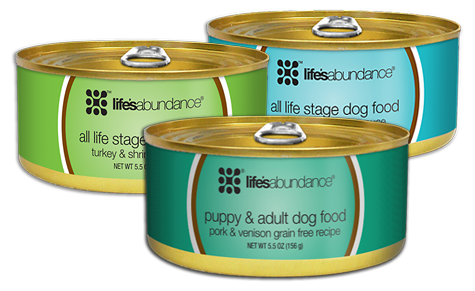 In addition, VIP Puppy food reflects not only your dog’s stage of life but also your personal attention to detail. If you need something practical or simply want to splurge and treat a bit, you can be certain you’ll find what you need right here.